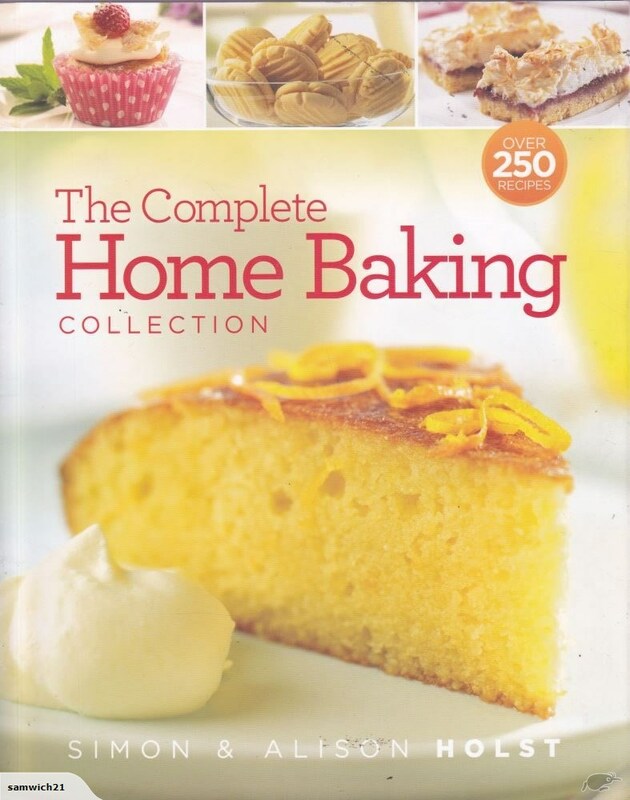 This is a selection of over 250 recipes from the Holsts’ extensive library and amounts to a substantial collection of recipes for home baking with a kiwi flavour. Most of your favourites will be here. There plenty of excellent ideas for cakes, slices and muffins, but for me there are not quite enough biscuit recipes. ANZAC biscuits and Kiwi biscuits are included, but sadly there are no Afghans or jammy dodgers. So, perhaps not quite complete enough for me. There are still plenty of new things for me to experiment with. Two different rhubarb cakes for starters. These are reliable recipes, tried and tested, and I have every expectation that they will succeed. There is even a gluten-free section, which looks to be a whole lot better than that found in most gluten-free cookbooks. There’s no cheating and using “gluten-free flour”. Instead each recipe has its own flour mix, generally involving rice and tapioca flours, especially designed for that application. You only need to read through this part of the book to see how much care and attention has gone into making sure it all works. And I think one can safely assume that that same effort has gone into the rest of the recipes. Good stuff, and an inspiration to get people baking at home. Definitely, this is a book that would be welcome in many a kiwi kitchen (and by those who like eating the resulting home-baked goodies)!